Ready to work in a stimulating environment and to face challenges of Direct Selling while being keeping calm, perseverance, determination and will to sell happily. Commit to vision of the organization and put forward a conscious effort, investing time and energy in person to accept responsibilities and be accountable for the targets assigned. 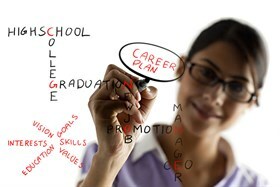 Education:UG -Other Graduate/ PG - OtherSales/ Direct Sales/ Extrovert/ Good Communication Skills. We are a 21st century health care products company with a vision for making the world a healthy and a happy family. Our mission is to produce innovative health care products that purify the water we drink, the food we eat and the air we breath, thus help people live healthier. For us, bringing health care products for you, is more than just a business, it is a passion. It is, in fact the very purpose of our existence. Our product philosophy is unambiguous. We help people in attaining the biggest and most precious wealth, perfect health, and this is reflected in our range of health care products. Walkin Drive on 12th January 2017. Noida Location.